In this month, I am happy to present a bunch of great free WordPress themes from the month of July. All themes in the collection are released under the GPL license, comes with cool and useful features and options. They can be used for various website types such as business, corporate, portfolio, gallery, photo, or whatever you want to use them for! If you are looking for a WordPress theme for a new website or for a fresh look on an already existing website, there are always plenty of new themes being released. 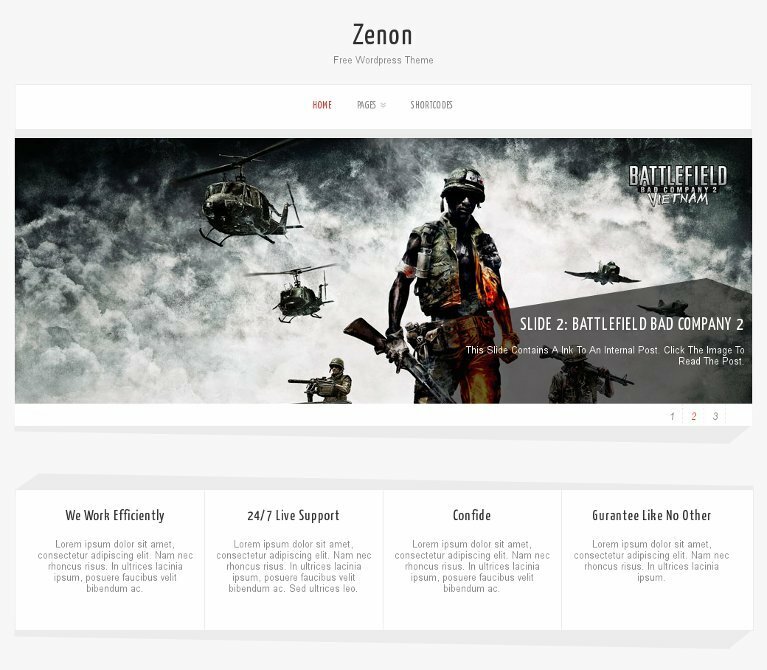 Zenon Lite is an all in one wordpress theme with 3 awesome fonts, slider, background image easy to use theme option panel. The Theme also includes 3 built-in widgets and 5 useful shortcodes. The theme is SEO Friendly and has plenty of user-friendly options. The theme also comes with a Full-width page, Left Sidebar Page and a Contact page Template which doesn’t require any setup. Zenon Lite is suitable for any business or personal website. 2 WordPress 3.0 Menu Position. Optimized for Iphone, Ipad and Android Mobile Devices. Easy to use theme options. One Click Install. No plugin required. MicroGrid is a free, clean, minimal, filterable, grid based wordpress theme. The unique Pinterest style layout is perfect for a portfolio, blog or collecting your favorite internet things. Whether you are a photographer, graphic designer, a blogger, or you just want to share the things you love with the world, this is the perfect theme for you!. COM4ME is a responsive under construction, coming soon page responsive WordPress theme. This theme suitable for landing pages, under construction, coming soon or small businesses sites. COM4ME designed with jQuery, HTML5 and CSS3 and this theme comes very special overviews like responsive layout design, unlimited color schemes with admin panel, social media and SEO optimized. 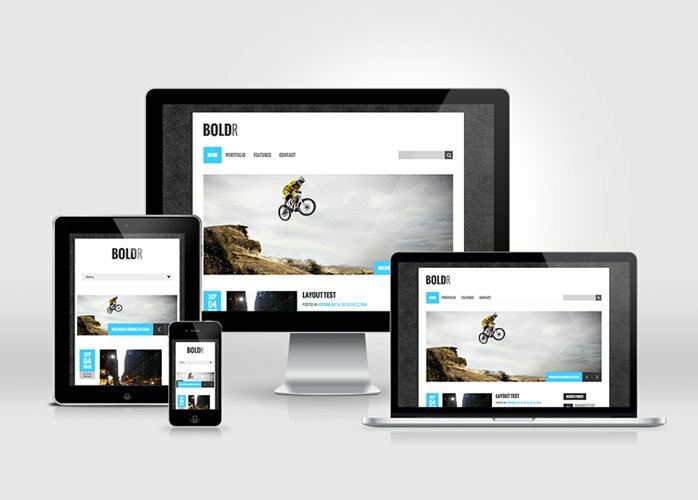 This theme built with Responsive Framework Skeleton (Easy to Customize). Lefty is a premium left-aligned WordPress theme created with bloggers in mind. The clutter-free and modern theme makes Lefty the perfect theme for bloggers of all sorts. 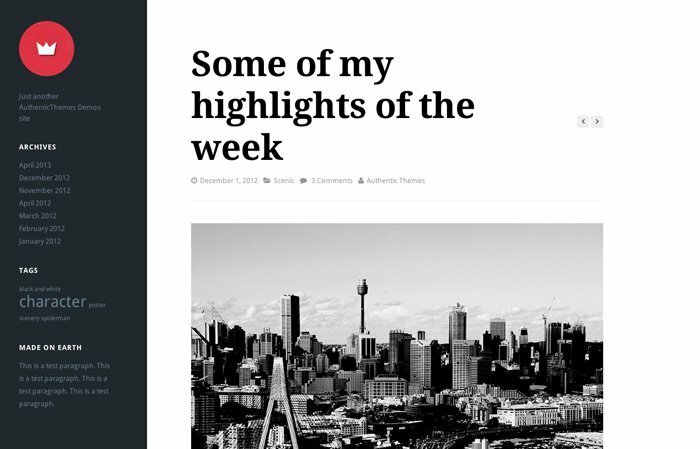 Icy is a clean and elegant blogging theme with Post Formats. Responsive layout and Retina ready icons & images makes this theme look beautiful on any device. Easy to use Theme Options panel, integrated Customizer, Custom Menu and 6 Widget Areas will allow you to easily customize your website. Icy is build on the latest WordPress and web standards such as HTML5 & CSS3, it’s also child theme friendly. 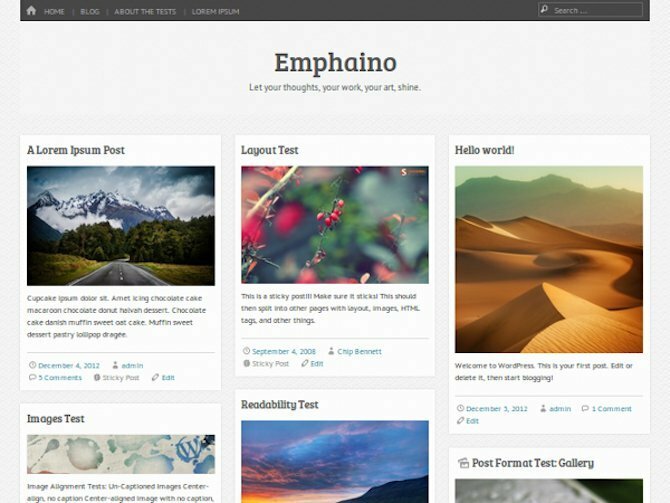 Let your thoughts, your work, your art shine with Emphaino, a modern, responsive WordPress theme. Clean design, emphasis on content. Customization through the interactive WP customizer interface. The theme is clearly designed for image-heavy sites and is perfect for photographers, illustrators and the like. In fact, it would serve ideally as either an out-and-out portfolio theme for showcasing your work, or a more laid-back blogging theme for images and photos that you create and/or curate. 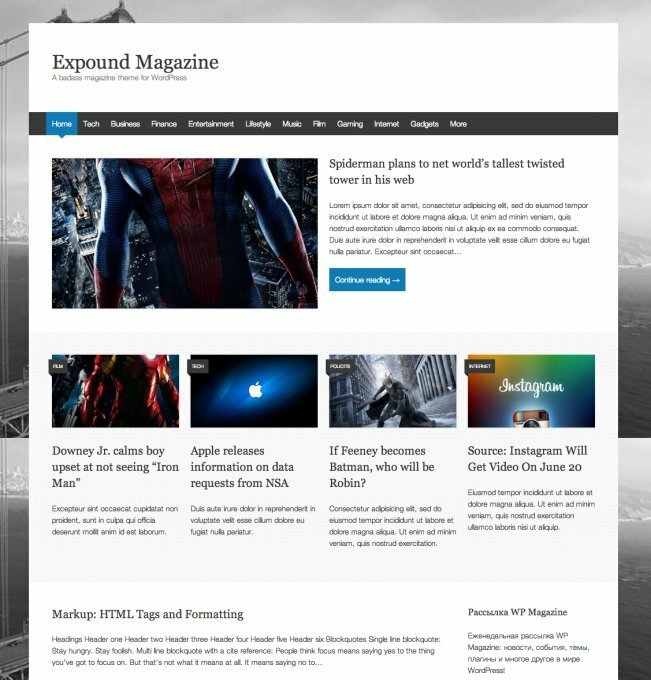 Expound was initially built for WP Magazine, a little blog with a big goal to change the perception of WordPress in Russia. It supports up to five featured posts on the home page, post thumbnails, custom excerpts, threaded comments, a sidebar for your widgets, a related posts section built right in, and an awesome responsive layout to keep your readers reading, wherever they are. Lukas is a free premium WordPress theme. This is a responsive theme with features like custom menu, featured images, widgetized sidebar etc. Theme also comes with an option panel. Theme requires the Options framework plugin. This month we have some good portfolio themes, photo blog, some business themes, a Pinterest style theme and some clean personal themes. If you are a free theme creator and would like to be added to future roundups, please get in touch with links to your work.